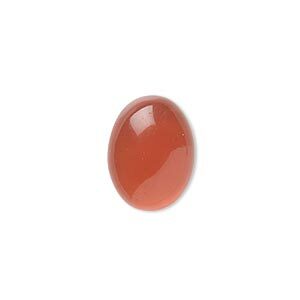 Cabochon, carnelian (dyed / heated), 7x5mm calibrated oval, B grade, Mohs hardness 6-1/2 to 7. Sold per pkg of 10. Item Number: H20-1266CB Have a question about this item? 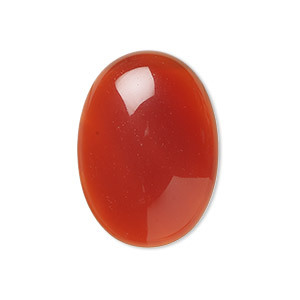 Most carnelian originates as a dull brown agate. When skillfully heat-treated, it becomes a bright, burnt-orange. Carnelian was used in Roman times to protect against envy, fear and rage. Colors may vary. 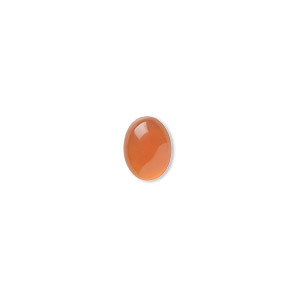 Cabochon, carnelian (dyed / heated), 10x8mm calibrated oval, B grade, Mohs hardness 6-1/2 to 7. Sold per pkg of 10. 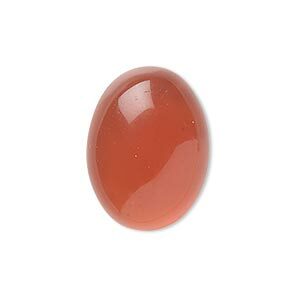 Cabochon, carnelian (dyed / heated), 8x6mm calibrated oval, B grade, Mohs hardness 6-1/2 to 7. Sold per pkg of 10. 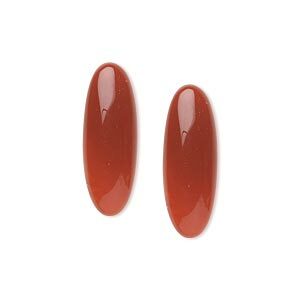 Cabochon, carnelian (dyed / heated), 5x3mm calibrated oval, B grade, Mohs hardness 6-1/2 to 7. Sold per pkg of 10. Cabochon, carnelian (dyed / heated), 6x4mm calibrated oval, B grade, Mohs hardness 6-1/2 to 7. Sold per pkg of 10. Cabochon, carnelian (dyed / heated), 18x13mm calibrated oval, B grade, Mohs hardness 6-1/2 to 7. Sold per pkg of 2. 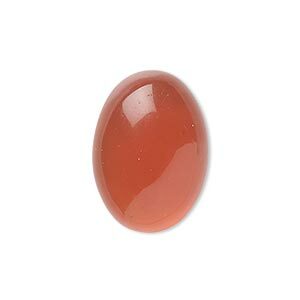 Cabochon, carnelian (dyed / heated), 22x8mm calibrated oval, B grade, Mohs hardness 6-1/2 to 7. Sold per pkg of 2. Cabochon, carnelian (dyed / heated), 14x10mm calibrated oval, B grade, Mohs hardness 6-1/2 to 7. Sold per pkg of 4. Cabochon, carnelian (dyed / heated), 12x10mm calibrated oval, B grade, Mohs hardness 6-1/2 to 7. Sold per pkg of 6. Cabochon, carnelian (dyed / heated), 16x12mm calibrated oval, B grade, Mohs hardness 6-1/2 to 7. Sold per pkg of 4. 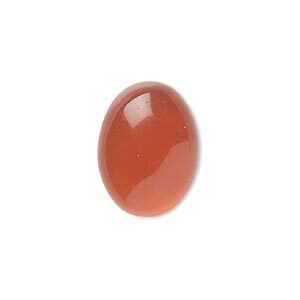 Cabochon, red agate (dyed / heated), 25x18mm calibrated oval, B grade, Mohs hardness 7. Sold individually.